AKIPRESS.COM - A record total of 102 gold medals will be awarded in 15 disciplines on snow and ice at PyeongChang 2018. Here is our day-by-day preview of what you can look forward to. The sporting action begins on the eve of the Opening Ceremony of the XXIII Olympic Winter Games, with the qualifying rounds of the all new mixed doubles curling event, while the men’s normal-hill ski jumping competition also gets under way. Though the high point of the day will of course be the Opening Ceremony at the PyeongChang Olympic Stadium, there is also plenty of sporting action on offer, with the opening round of the mixed doubles curling, the qualification rounds of the men’s and women’s moguls in freestyle skiing, and the start of the team figure skating competition. The first gold medal of PyeongChang 2018 will be awarded in the afternoon, in the women’s cross-country skiathlon, where Norway’s Marit Bjørgen will be looking for her third title in the event. Also on the medal trail today will be short-track speed skaters (men’s 1,500m), speed skaters (women’s 3,000m), biathletes (women’s 7.5km sprint) and ski jumpers (men’s normal hill). Seven Olympic champions will be crowned today. Top of the bill will be the first of the Alpine skiing events, the prestigious men’s downhill. The biathletes will be in action in the men’s 10km sprint, while the cross-country skiers will battle it out for gold in the 15+15km skiathlon. Also on the programme are the men’s snowboard slopestyle final and the women’s moguls; while on the ice, Dutch speed skater Sven Kramer will go for a third consecutive title in the men’s 5,000m, with Germany’s Felix Loch doing the same in the men’s luge. There are eight medal events on the day’s programme. On the slopes, Alpine skiing will take centre stage for the women’s giant slalom, while both male and female biathletes will be going for gold in the pursuit. 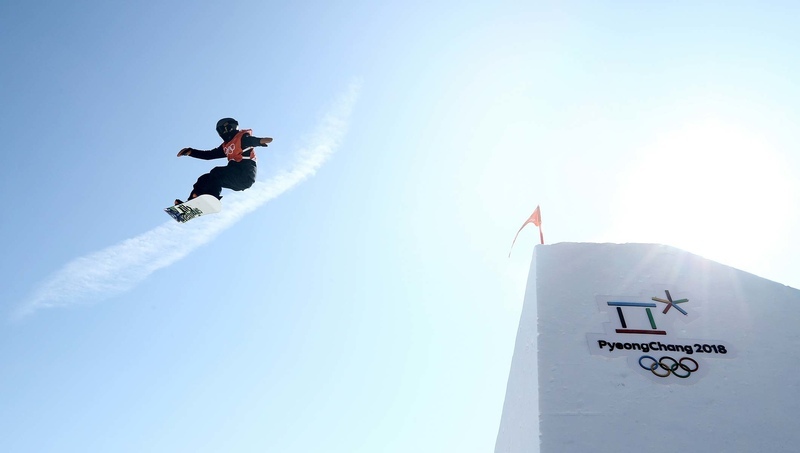 Elsewhere, the team event in figure skating reaches its conclusion, and the podium places will be decided in the men’s freestyle skiing moguls, the women’s ski jumping, the women’s snowboard slopestyle final and the women’s 1,500m speed skating. By the end of the day we will know the identities of the Olympic champions in eight events: the men’s Alpine combined, both the men’s and women’s cross-country individual sprints, the women’s snowboard halfpipe, the women’s 500m short track and the men’s speed skating 1,500m, the new mixed doubles event in curling, and the women’s luge singles. Snow takes centre stage on day seven, with the women’s slalom in Alpine skiing, the women’s 15km individual in biathlon, the normal-hill/10km in Nordic combined, and the men’s snowboard halfpipe final, where the USA’s two-time Olympic champion Shaun White will be aiming to return to the top of the podium after disappointment in Sochi four years ago. On the ice, meanwhile, the Olympic champions will be crowned in the men’s luge doubles and the women’s 1,000m speed skating. On the snow, gold medals will be up for grabs in the men’s super-G in Alpine skiing, the men’s individual 20km in biathlon, where France’s Martin Fourcade will be attempting to retain his title, the women’s cross-country skiing 10km, and the men’s snowboard cross. On the ice, the luge competitions conclude with the mixed team relay, while the figure skating pairs launch into their free programme, and the endurance specialists will go for gold in the men’s 10,000m in speed skating. Five titles are up for grabs, starting with the men’s skeleton. Later in the day the cross-country skiers go for gold in the 15km free, the snowboarders do battle in the women’s cross, the freestylers are in action in the women’s aerials at Phoenix Park, and the speed skaters cross swords in the women’s 5,000m. Elsewhere, the men’s figure skating competition gets under way with the short programme. There will be something for everyone in a day that starts with the men’s figure skating free programme, and the women’s Alpine skiing super-G, and ends under the floodlights of the Alpensia Ski Jumping Stadium with the men’s large hill event. There will be plenty of other medals settled elsewhere too: in the women’s mass start in biathlon, the 4x5km cross-country skiing relay, the freestyle skiing slopestyle, and the women’s skeleton. Meanwhile, the home crowds will be hoping they have plenty to cheer in two short-track finals – the women’s 1,500m and the men’s 1,000m. And also in Gangneung, the women’s ice hockey play-offs get under way. With the exception of what promises to be a thrilling women’s 500m speed skating final, all of the day’s medal events will be contested by men on the snow: in the Alpine skiing super-G, the biathlon mass start, the freestyle skiing slopestyle and aerials, and the cross-country relay. The day starts with the long-awaited face-off between Canada’s Tessa Virtue/Scott Moir and France’s Gabriela Papadakis/Guillaume Cizeron in the ice dance free programme. There will also be plenty of action at the Alpensia complex, with the large-hill/10km race in Nordic combined and the mixed relay in biathlon. Also on the programme are the women’s freestyle skiing halfpipe, the women’s 3,000m relay in short-track speed skating, the start of the women’s bobsleigh competition, and the play-offs in men’s ice hockey play-offs. Fans of both snow and ice are in for a real treat today, with the women’s downhill in Alpine skiing followed a little later by the men’s ski cross competition. Both men and women will be in action in cross-country skiing sprints, and in the speed skating pursuit events. The women’s bobsleigh competition also draws to a close with rounds 3 and 4, while the women’s ice hockey third-place match will determine who wins bronze. In Gangneung, the women’s ice hockey final takes top billing, while the men’s curling competition reaches the semi-final stage. Meanwhile, back in the mountains, the Alpine skiing programme moves on to the men’s slalom, with all eyes on favourite Marcel Hirscher. Other highlights include the women’s relay in biathlon, the large-hill/4x5km in Nordic combined, and the final of the men’s halfpipe in freestyle skiing. Back at the Gangneung Ice Arena, there will be no fewer than three short-track speed skating finals: the men’s 500m, the women’s 1,000m and the men’s 5,000m relay. The women’s figure skating champion will be crowned at the end of the freestyle programme at the Gangneung Arena. The medals will also be decided in the women’s Alpine combined, the men’s biathlon 4x7.5km relay, the women’s ski cross, the women’s snowboarding big air, and the men’s 1,000m speed skating. Meanwhile, the men’s curling third-place match will decide the destiny of the bronze medal. The new and spectacular mixed team event in parallel slalom will bring the curtain down on the Alpine skiing programme. The competition will take place on two short parallel slopes, with descent times of less than 25 seconds, and with teams of two men and two women competing on a knockout basis. The first ever Olympic champions will also be crowned in the men’s snowboarding big air and the men’s and women’s speed skating mass starts. Other medal events on the day’s programme include the men’s and women’s giant parallel slalom in snowboarding, the men’s cross-country skiing 50km mass start, the final of the men’s curling and the third-place matches in both the women’s curling and the men’s ice hockey. The Closing Ceremony of the XXIII Olympic Winter Games gets underway at 20:00 local time. But before the flame is extinguished, the medals will be awarded for four-man bobsleigh, women’s curling and men’s ice hockey. Meanwhile, the 102nd and final event of PyeongChang 2018, the women’s cross-country 30km mass start, is scheduled to finish at around 17:20.